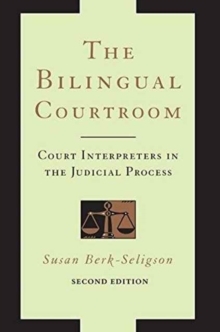 Susan Berk-Seligson's groundbreaking book draws on more than one hundred hours of taped recordings of Spanish/English court proceedings in federal, state, and municipal courts along with extensive psycholinguistic research using translated testimony and mock jurors to present a systematic study of court interpreters that raises some alarming, vitally important concerns. Contrary to the assumption that interpreters do not affect the dynamics of court proceedings, Berk-Seligson shows that interpreters could potentially make the difference between a defendant being found guilty or not guilty of a crime. 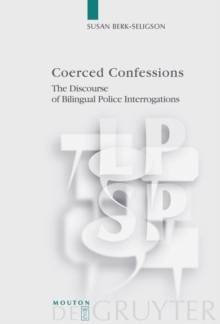 This second edition of the The Bilingual Courtroom includes a fully updated review of both theoretical and policy-oriented research relevant to the use of interpreters in legal settings, particularly from the standpoint of linguistic pragmatics. It provides new insights into interpreting in quasi-judicial, informal, and specialized judicial settings, such as small claims court and in jails and prisons; updates trends in interpreter certification and credentialing, both in the United States and abroad; explores remote interpreting (for example, by telephone) and interpreter training programs; looks at political trials and tribunals to add to our awareness of international perspectives on court interpreting; and expands upon cross-cultural issues. 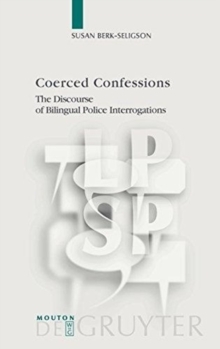 Also featuring a new preface by Berk-Seligson, this second edition not only highlights the impact of the previous versions of The Bilingual Courtroom, but also draws attention to the continued need for critical study of interpreting in our ever diversifying society.